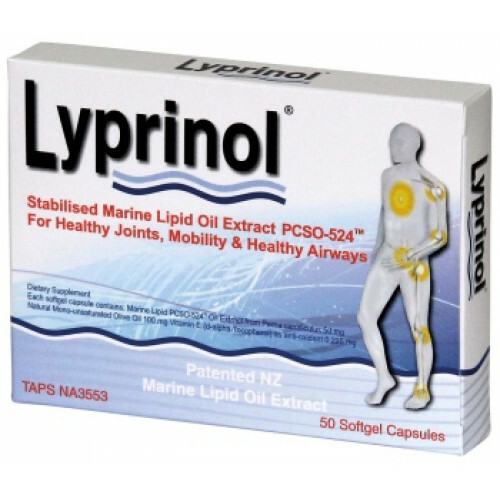 Lyprinol® has been shown through international scientific research to help maintain normal joint function and healthy breathing passages. 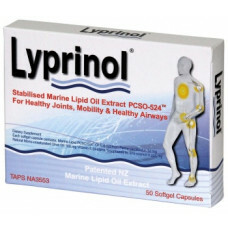 Lyprinol® is a natural, standarised extract of New Zealand’s green-lipped mussel (Perna canaliculus) containing a unique combination of free fatty acids, sterol esters, lipids and carotenoids, OTA, ETA, EPA and DHA – rich in Omega-3s. 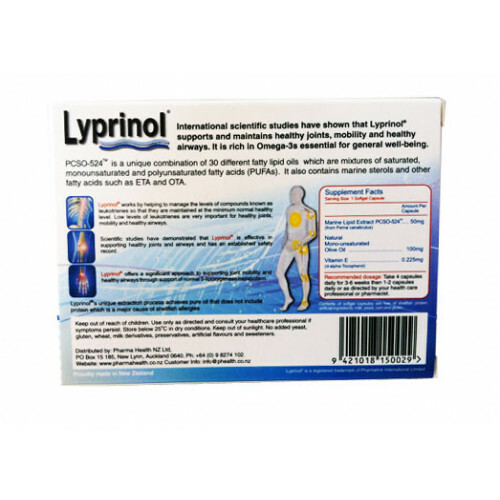 Lyprinol® is effective in supporting healthy joints and airways and has an established safety record. Initially take four capsules daily, 2 morning and 2 at night preferably with meals, for 4-6 weeks or until staisfactory results are achieved. Then intake may be reduced to 1-2 capsules daily for maintenance or as professionally prescribed. 50mg Lipid Extract from Perna Canaliculus. 100mg Natural Mono-usaturated Olive Oil. .225mg Vitamin E (d-alphd-Tocopherol) as anti-oxidant. Store in a cool dry place below 30 degree keep out of reach of children. 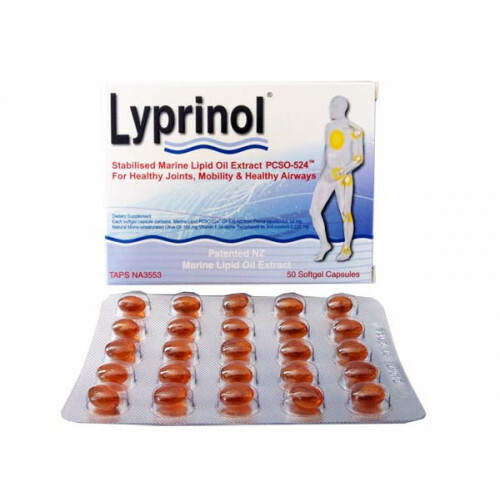 Pregnant or breastfeeding mothers or children under 2 years of age should consult their health professional before taking any supplements such as Lyprinol. Well Life Premium Green Lipped Mussel Extract is produced with the premium graded Green Lipped Mu..
♦ Product Description Well Life Joint Green provides a well balanced combination of Glucosami..
Good Health Sharkilage 100 Capsules Good Health Sharkilage™ utilises shark cartilage that is har..
HealthUP Green Mussel 7500 60 Softgel Capsules x 4piece!!! HealthUP Green Mussel 7500 60 Soft..